Throughout history, Jehovah has always dealt with mankind according to covenants. He is a God of order, and does not rule in an arbitrary or capricious manner. Rather, He lets us know the conditions of His covenant so that we know what His promises are and can then exercise faith in His Word to us. Thus, Jehovah establishes covenant relationships and has signs to serve as a reminder of that covenant. Unfortunately, due to the divisions of our Bibles into Old and New Testaments, there is a common misperception that there are only two covenants. In fact, there are three covenants contained in the Hebrew Scriptures and one in the Greek Scriptures. The first covenant, one that is still in force, is the Noahic covenant. It was established between God and Noah after the flood. I am thankful that this is in effect, as another worldwide flood would be a bummer. 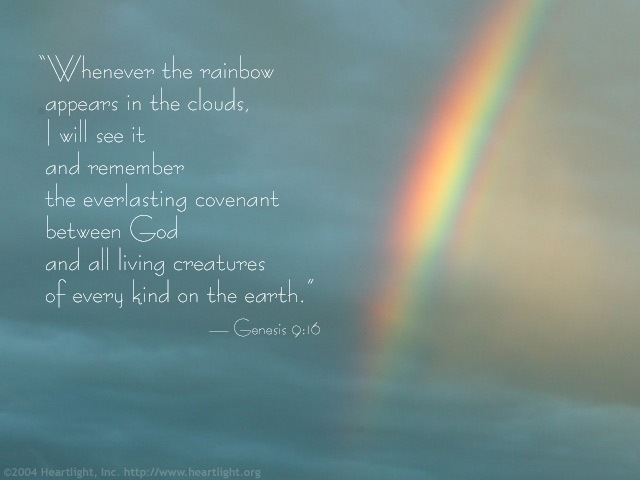 The sign of this covenant is the rainbow, and still occurs today. In Hawaii, it occurs on a daily basis! This covenant is also one that is unconditional, and was entered into after Noah sacrificed an animal on the altar in worship. Thus it was established by the shedding of blood. Again, there were no conditions listed, and the covenant was sealed with a blood sacrifice. The next covenant was the Mosaic covenant, made between Jehovah and the nation of Israel. This covenant was conditional unlike the others. It is within this covenant that most of the Bible is given. 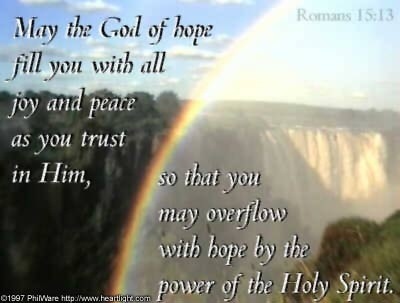 This covenant was given at Mount Sinai and was in force until John the Baptist (Luke 16:16). The covenant, though perfect from God’s side, was beyond human ability to fully keep. It was designed to be temporary, and served to condemn the world under sin. The sign of the Mosaic covenant was circumcision. This covenant was fulfilled at the cross when Jesus Christ ushered in the New Covenant with the shedding of His own blood. While the Mosaic covenant has been fulfilled and is not in force, but in no way does that negate the Noahic or Abrahamic covenants. The current covenant is the covenant of Grace. It was also initiated by the shedding of blood, but this time by the perfect sacrifice of Jesus on the cross. The sign of our New Covenant are both internal and external. Internally, we experience circumcision of the heart at baptism (Colossians 2:12), and externally we show the covenant to others when we partake of the elements of communion on the first day of the week. What is the significance of this? It is that we are in covenant relationship with Jehovah God, whose nature is that of a covenant maker and keeper. He is not going to change His mind and decide to cancel our covenant. We are secure in Christ. No one is ever lost because God abandoned them or lost them. Jesus doesn’t fire people; they quit on Him! His part of the covenant is completed. We only need to accept the offer of salvation as He has prescribed, and walk in covenant obedience to Christ.